Conventional oil should be done every 3,000 miles. 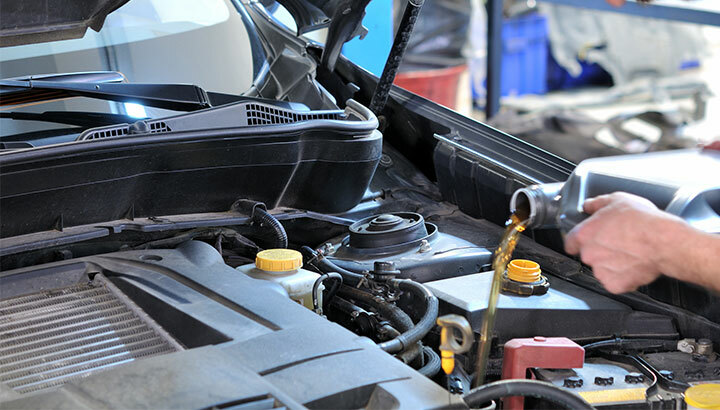 Synthetic oil should be done every 6,000 miles. Change every 15,000 Miles – Dirty, contaminated air filters can restrict proper air flow and result in reduced engine performance, fuel economy, and damage air flow sensors. Change every 15,000 Miles – A restricted air flow affects the amount of air flowing through the ventilation system resulting in poor heating and cooling in the interior of the car. Inn some cases it can start to mold and have a bad order. This is not what you want for the air your breathing in! Changed every 30,000 Miles – This fluid is made to lubricate seals and disperse heat. Dirty fluid breaks down and greatly reduces its ability to protect the transmission. The average life of a battery is 5 to 7 years. A weak battery can cause the alternator to work harder than it was engineered for, resulting in premature failure of the alternator. Change every 30,000 Miles – a restricted fuel filter will cause a fuel pump to work harder the needed and create excessive heat in the fuel pump, resulting in premature fuel pump failure. < Are You Ready For Summer?